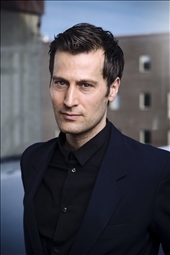 Christian Benedict is a docent in neuro science at Uppsala University, where he studies the importance of sleep for health and performance. Christian has received several scientific awards for his sleep research, including the Oscar prize from Uppsala University and the Young Sleep Researcher Award from the German Society for Sleep Medicine. He has also presented his research at several international conferences and is known for conveying facts and knowledge about sleep in a pedagogical and entertaining manner.